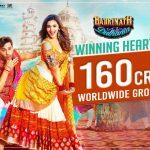 Young-age superstars Varun Dhawan and Alia Bhatt’s recent offering Badrinath Ki Dulhania has completed it’s one week journey at box office on an excellent note. Being much awaited, this romantic comedy was released last Friday with much excitement of their fans as well as audience and as expected received favorable response them. Badrinath Ki Dulhania is the second installment of Karan Johar’s franchise that was began with Humpty Sharma Ki Dulhania in 2014. 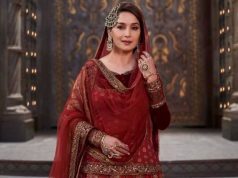 As it’s prequel, the latest one also has heavy dose of entertainment but with meaningful content, which has impressed all the viewers as well as critics. In the opening weekend, directorial Shashank Khaitan this movie recorded very good occupancy throughout and did an impressive business of 43.05 crores from more than 3000 screens of India. The weekend total was including 12.25 crores of Friday, 14.75 crores of Saturday and 16.05 crores of Sunday. Due to strong word of mouth, Badrinath Ki Dulhania remained steady in weekdays. 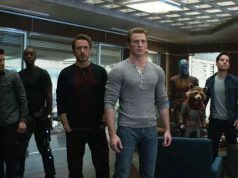 On Monday there was a holiday on account of Holi, so the movie remained strong and raked the business of 12.08 crores. Then on Tuesday being normal working day, it faced around 38% of drop than previous day and added the amount of 7.52 crores. With further drop in it’s business graph, Badrinath Ki Dulhania minted the amount of 5.95 crores on Wednesday. On the last day of week i.e. Thursday, the movie witnessed 15% of fall and garnered the business of 5.05 crores. With this, it’s one week total collection has become 73.66 crores on domestic box office. After Raees, Kaabil & Jolly LLB 2, Badrinath Ki Dulhania has emerged as the fourth highest opening week grosser of 2017 so far. 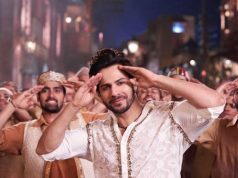 Fortunately there is not any buzzed Hindi movie is being released this Friday, so Varun-Alia starrer is all set to surpass the lifetime total of Humpty Sharma Ki Dulhania (76.81 crores) in one more day and positively expected to cash the second weekend on a good note.